Soft smooth and luscious lips is a natural desire of everyone and to get such lips beauty conscious people spend a lot of money on commercially prepared lips balms but instead of spend a lot on money they usually don't get the desired results. 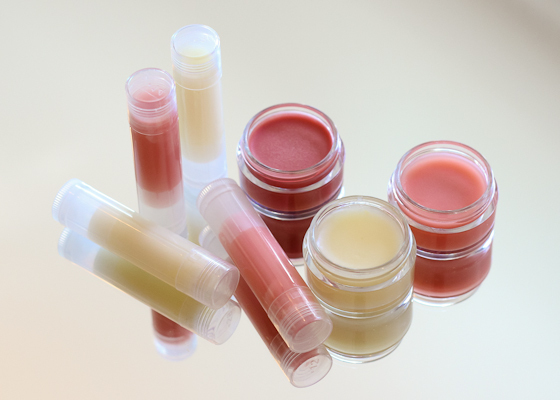 If you have been tired of wasting money on commercial lips balms then try to go with natural homemade lips balms recipes. 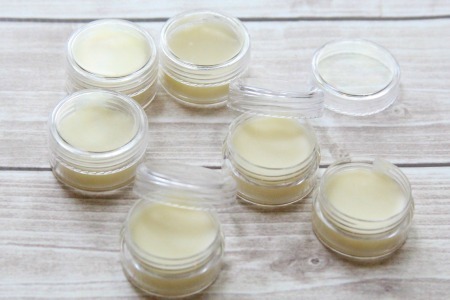 Natural Homemade Lips balms are prepared with natural ingredients and are free from harmful chemicals. If you are searching for the best and cheapest recipes of homemade natural lip balms then you don't need to search more because here we have a collection of best homemade natural lip balms for soft, smooth and luscious lips. According to your needs your can prepare any one of them and get the maximum benefits from natural ingredients. (i)Warm beeswax, shea butter and coconut oil in a small, stainless steel pot or bowl. (ii)Be sure to warm it on very low heat. Stir until the beeswax is completely melted. (ii)Remove from heat and quickly whisk in the essential oil and Vitamin E oil. Continuously stir until all the ingredients are mixed well. (iv)Now by using glass dropper quickly transfer the balm into your lip balm container or tubes and allow to set for 3-4 hours or until completely hardened. (v)Store in a cool dry place and use for several months. (i) Take a small saucepan and heat the olive oil, honey, beeswax and cocoa butter over a low heat flame until all the ingredients are completely melted. (ii) Now remove from heat and let it cool for 2-3 minutes. (iii) Stir well by adding the flavoring oil and contents of vitamin E capsule. 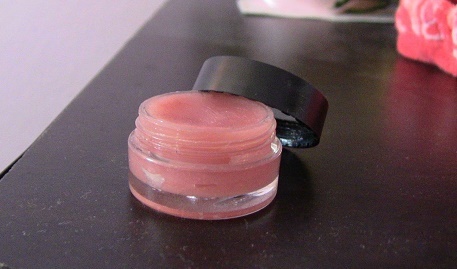 (iv) Finally pour into your lip balm containers of your choice and allow to hardened for few hours. (v) Now store the lip balm container in a cool and dry place. (i) Put the coconut oil in a small stainless saucepan and heat the oil on a very low heat until completely melt. (ii)When the oil become liquid then add rosebuds and stir well. (iii) Allow to steep on very low heat for about 1 hour. (iv) Now strain oil into a bowl through a fine-mesh sieve or cheesecloth. (vi) Add cocoa butter and stir well until cocoa butter is completely melted. (vii) Remove from heat and add vitamin E oil and rose essential oil and stir well. (viii) Transfer the mixture to a small lip balm container and allow to set for 2-3 hours. (ix) Finally store in a cool and dry place. (i) First of all put the almond oil and beeswax in a small stainless steel saucepan and heat on a very low flame until beeswax is completely melted. (ii) Now remove the heat and quickly whisk in the Vanilla essential oil, Vitamin E oil and a small slice of your favourite lipstick. Continuously stir until all the ingredients are completely mixed into each other. (iii) Transfer the balm into your lip balm container or tubes and allow to set for 3-4 hours or until completely hardened. (iv) Finally store your lip balm container in a cool and dry place. Note: Instead of Lipstick slice you can also mix some beetroot powder to add a natural tint to your homemade lip balm. (i) Heat the beeswax in a small pan on a low flame. (ii) When the beeswax start melting then add lanolin, coconut oil and shea butter and continuously stir until all the ingredients are mixed well. (iii) Remove the heat flame and quickly whisk in the peppermint and rosemary oil. 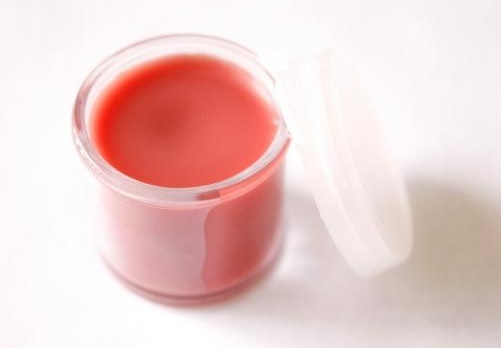 (iv) Now you can transfer the freshly prepared balm into small balm containers or tubes. (v) Let the balm harden for 2-3 hours and then save in a cool and dry place.